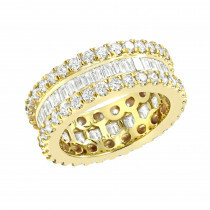 This luxurious 18K gold round diamond eternity band shines with its 2.2 carats of exquisite, hand-selected diamonds. 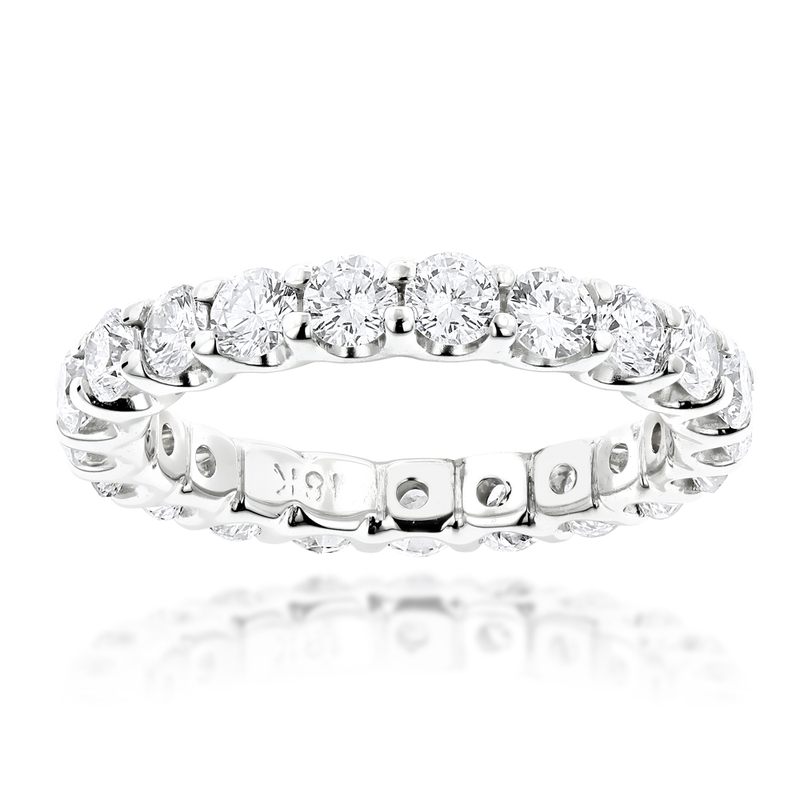 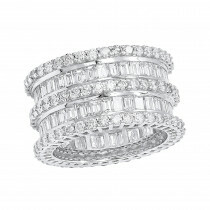 This round diamond designer eternity ring is available in 18K white gold, yellow and rose gold. 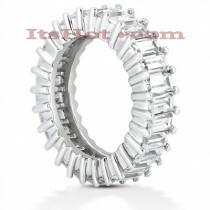 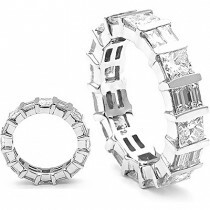 Also available in platinum (please contact us for pricing details). 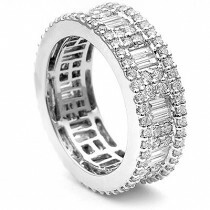 A fabulous ring! 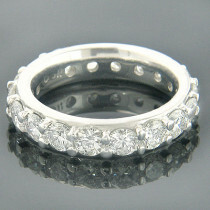 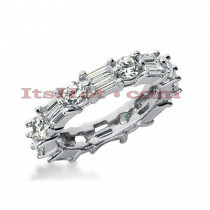 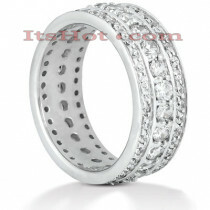 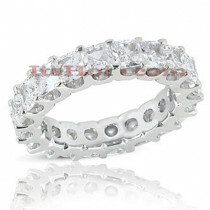 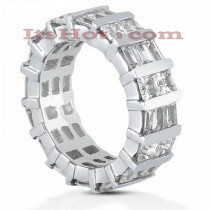 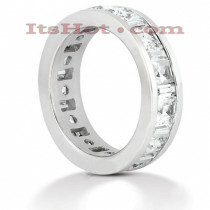 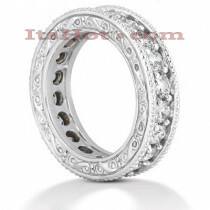 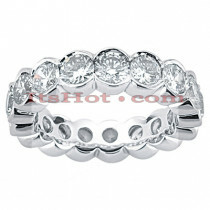 I like the open design of this ring so the diamonds are shown fully and really shine even from the side. 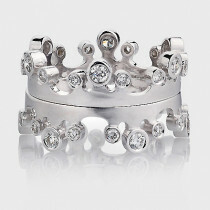 Definitely a high end ring!